Figs are packed with fiber that could lower the blood pressure, but are you also aware that the fruit actually contains a lot of sugar? As a matter of fact, a 100 grams of raw figs contains around 16 grams of sugar– about the same amount of sugar you’ll get from energy drinks. 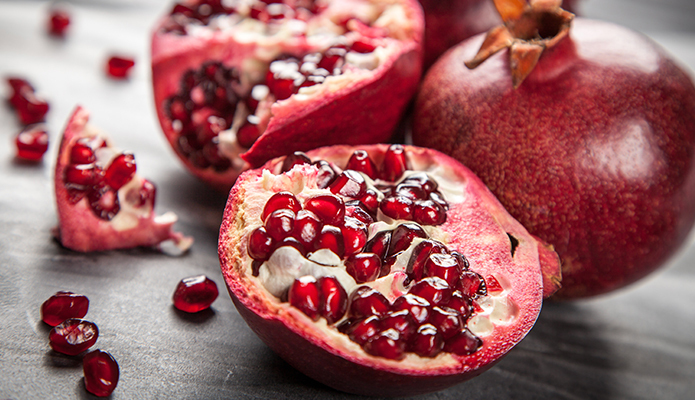 Who can say no to pomegranate? They are very delicious and a delectable winter fruit. However, this should be consumed in moderation because one entire fruit has 39 grams of sugar! That’s one of the few reasons why you should be sprinkling the seeds on your low-fat yogurt instead of eating an entire bowl of it! The good thing about this fruit, despite its sugar content, is that it’s good for the heart and has anti-aging properties. According the Academy of Nutrition and Dietetics, green peas are best eaten in moderation. Starchy vegetables like peas have higher calorie and carbohydrate content. While they are fine in small amounts, try to substitute non-starchy vegetables instead like leafy greens, asparagus, mushrooms, or beets.